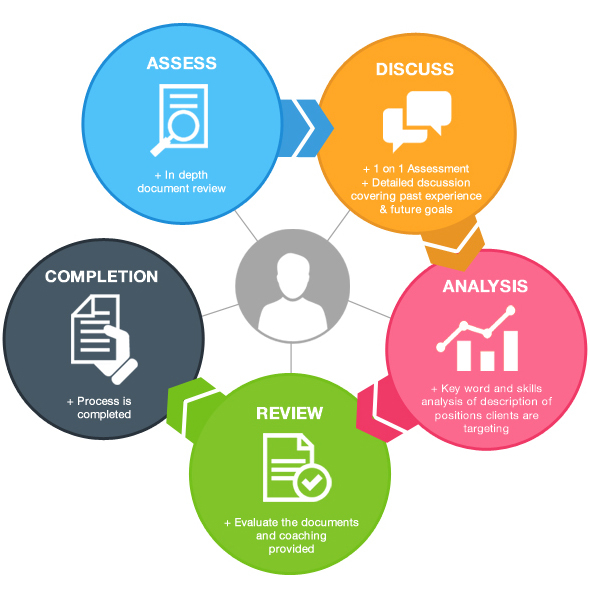 At Five Star Resume we have developed and fine-tuned a highly collaborative career coaching process to assess and develop our client’s career profile. Our effective method includes positioning our clients to secure their desired position. Our five step method of document and profile development allows us to fully understand your past experience and align it with your future goals. We ensure that we not only gather information from you, but that we also utilize our industry expertise in Human Resources, Talent Acquisition and Learning & Development to guide you on career decisions that make sense based on your long term goals. Our goal here is to not only create documents that fit your profile; it is to ensure that you feel confident in executing your long term career goals. We achieve this not only in your document revitalization, but also with our very robust approach to Interview Coaching.